If you’re holidaying at the Coo Palace and you’re pressed for time, or the weather is inclement, but you still want to see the beauty of Dumfries and Galloway, you could do worse than take to four wheels and drive all or part of what’s being called the ‘South West Coast 300’ route. A counterpart to the more famous NC500, a road trip around Scotland’s rugged north showcasing fairy-tale castles, white-sand beaches and historical ruins (and lots of mountains), the South West Coast 300 (or SWC300) takes you through the country’s softer, more verdant south west – a less visited part of Scotland. You’re unlikely to complete the entire route in one go – but we hope that what follows will allow you to ‘cherry-pick’ the bits that appeal to you. Imagine a circle, with the Coo Palace lying at the very bottom, bang in the middle. To the north and east of you lies the southern Scottish hinterland; to the north and west, a sublime stretch of glorious coast. Going anti-clockwise round the circle, the closest place to join the SWC300 is at Kirkcudbright (below), a five-mile “hop” from the Coo Palace, north-east on the B727 and A755 and across the river Dee. 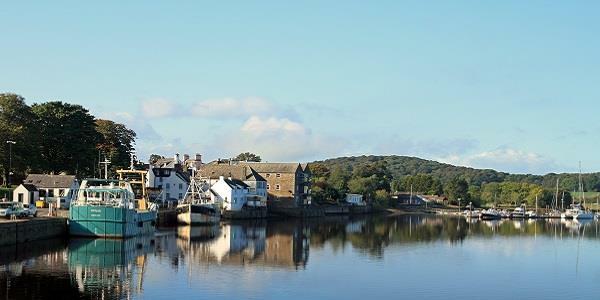 Kirkcudbright calls itself Scotland’s Artist Town – and it’s true, many painters have been attracted here over the years by the prettiness of the place and the quality of the light. Following the coast along the A710, your next stop is Dumfries. It’s a biggish town with a population nudging 50,000, and much to see and do – but it’s also notable as the burial place of Robert Burns. Scotland’s national poet died in Dumfries in 1796 at the age of 37, and there is a museum in the town dedicated to his life (as well as his splendid mausoleum). Follow the A76 north and West and you arrive at Alloway, famed for the Brig o’ Doon Bridge (pictured at top) – immortalised in Burns’s poem Tam o’ Shanter – and for being the Bard of Ayrshire’s birthplace. 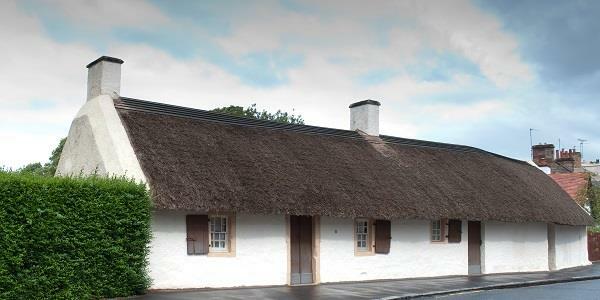 Burns Cottage, wherein Wee Rabbie started life, is humble indeed; a visit need not detain you long. 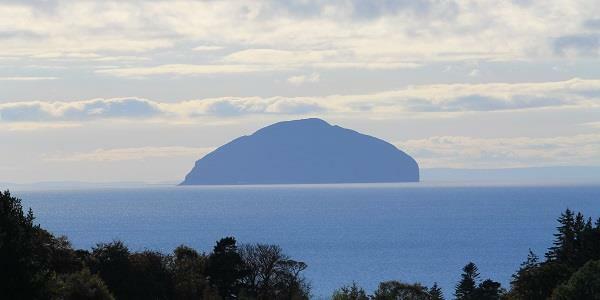 which you can visit by boat from the seaside town of Girvan. Continuing along the coast – a beautiful 29 miles of the A77 – brings you to Stranraer, at the head of Loch Ryan. 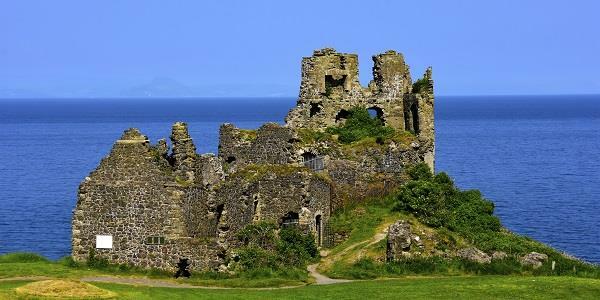 Stranraer is the gateway to the Rhins of Galloway hammerhead peninsula, and for more than a century was a busy ferry port for services between south-west Scotland and Northern Ireland. The town has many shops and eateries, but the main attraction is the Castle of St John, a ruined four-storey tower house built around 1500, which sits on a green in the main street. At this point you’re faced with a choice. 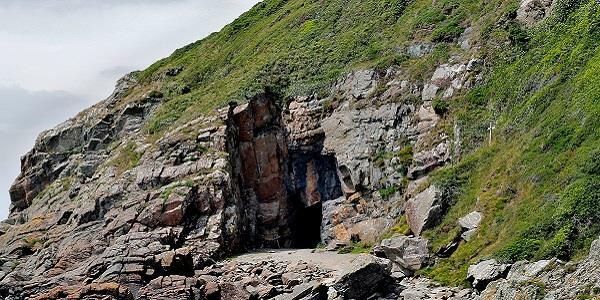 A 14-mile detour due south along the peninsula on the A716 and B7065 takes you to Port Logan, a delightful village in a sheltered, sandy bay. Port Logan was the main location for the BBC series Two Thousand Acres of Sky. And you could follow the B7065 and B7041 a further nine miles south to the Mull of Galloway lighthouse, Scotland’s most southerly point. 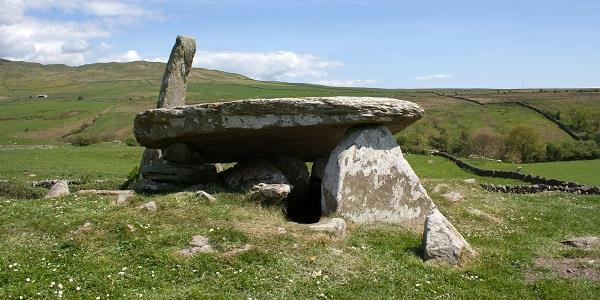 Both are well worth seeing, and it’s a pleasant drive – but it is a bit of a detour, and adds 50 miles to the total route. 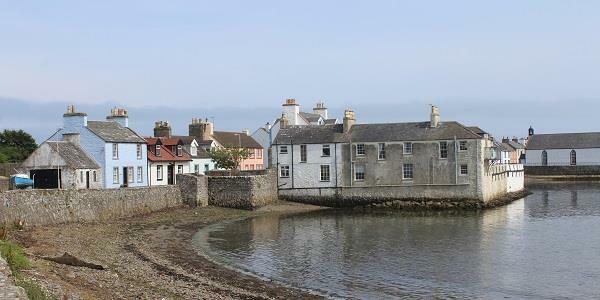 Better, perhaps, to head from Stranraer to Whithorn (pictured above),32 miles south-east along the A75 and A747 – the so-called ‘Cradle of Scottish Christianity’, where St Ninian (whose cave, pictured below, lies a short three-mile pilgrimage away) established the country’s first church. And after that? North on the A714, then onto the A75, across the River Cree, and south. 29 miles. For further information on the SWC300, click here. For further information on the Bookshop in Wigtown, click here.